Friday, October 2, 2015 Under The Apple Tree was honored with the prestigious Golden Calf award for Best Short Film at the Netherlands Film Festival (NFF). 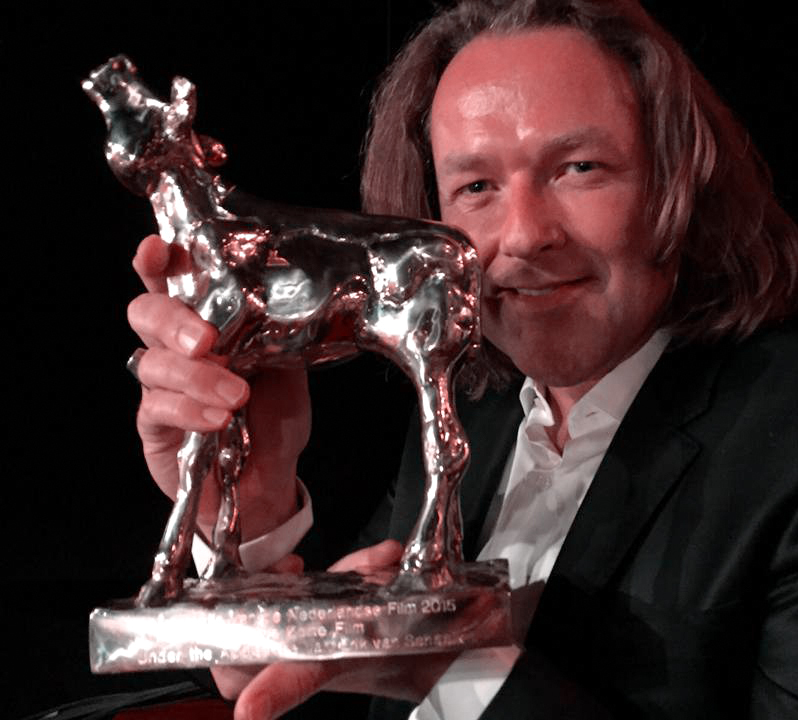 Director Erik van Schaaik was welcomed to the stage by two of his most esteemed colleagues, Oscar nominees Marieke Blaauw and Joris Oprins, to receive the beautiful but heavy statuette. 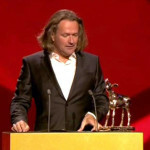 In a short speech Erik thanked his fantastic team at Pedri Animations and Beast Animation, especially Paul Mathot, Peter Mansfelt and Thomas Hietbrink. He also thanked Racoon for their song Fun We Had. 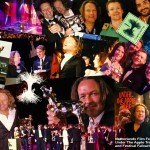 Special thanks to producer Anita van Dalen – his very own Anita! – and to their loyal fans in Arnhem. 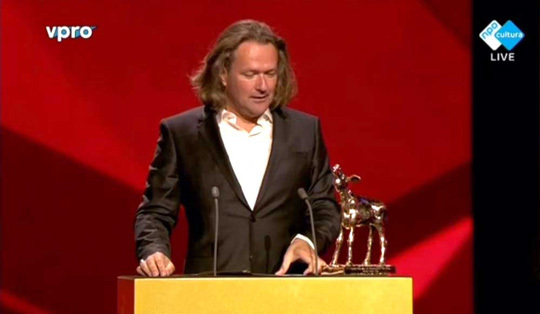 It’s been 15 years since an animated movie won a Golden Calf (Sientje by Christa Moesker). 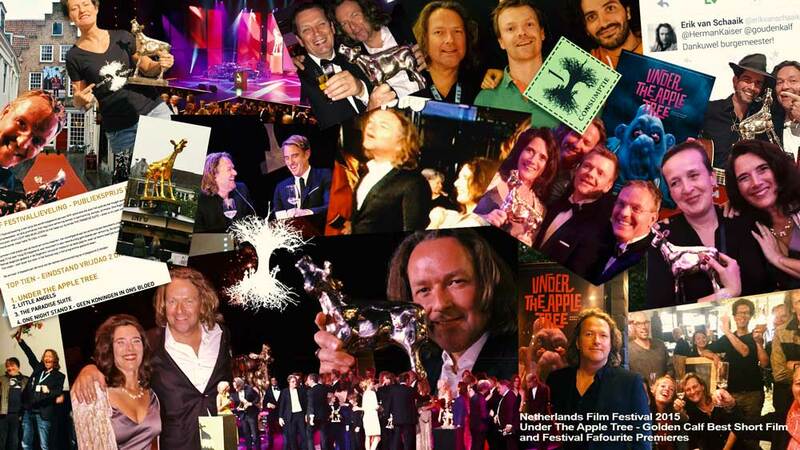 That same night Under The Apple Tree was chosen to be the Festival Favorite, Premieres. The NFF audience picked the animated horror comedy as their favorite movie, from a long list of 76 feature films, short films, long- and short documentaries and animated movies. Thank you, dear audience, for enjoying apples as much as we do! Our gratitude goes out to the jury, the (crowd)funders, the cast ‘n crew and the audience.